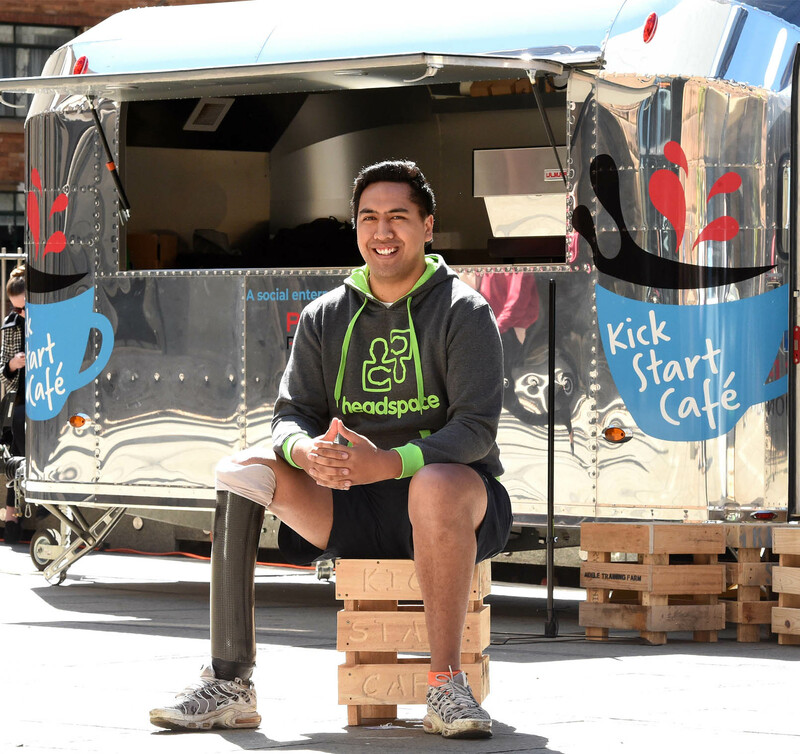 4 October 2018 – The Riverwood-based Kick Start Café – which provides employment and training opportunities for disadvantaged youth – has proved such a success there are now plans to roll it out across Sydney construction sites. The PAYCE Foundation, which is the philanthropic arm of leading property developer PAYCE, has backed the construction of a fleet of vans and plans to partner with other companies to provide more opportunities for disadvantaged youth. Twelve trainees have graduated from the Kick Start Café which was first established at the urban renewal project, Washington Park, a joint residential venture with the NSW Department of Land and Housing. The mobile van project was officially launched at a Property Council of Australia briefing at the Museum of Sydney in Bridge Street, Sydney this week. “Then I got a call from a youth worker saying there was this new café at Washington Park and they were able to train young people and pay them at the same time. Paniora has repaid his trainers and now works as a youth worker at the Belmore Youth and Resource Centre. “I am very excited that with an ever-expanding number of trailers over the next few years we will be able to train and employ hundreds of young people and prepare them with essential life and work skills,” Mr Hillard said.